Web based graphical user interface is accessible from every standard web browser. Using Web-GUI, all components of local and remote site can be monitored and configured. All signals and the card status in different racks are displayed graphically. When installing new devices, they will be automatically discovered and displayed. The Web-GUI assists a user friendly field installation and configuration. For SNMP management, several standard and product specific MIB files (Management Information Base) are provided. SSH supports automatic configuration on secure remote access via unsecure networks. Remote SW-upload for SCX2e itself and all other component in the system rack is realized via TFTP or http. After copying SW updates to SCX2e Flash File System updated files are loaded into agent and plugged modules on administrator`s request. 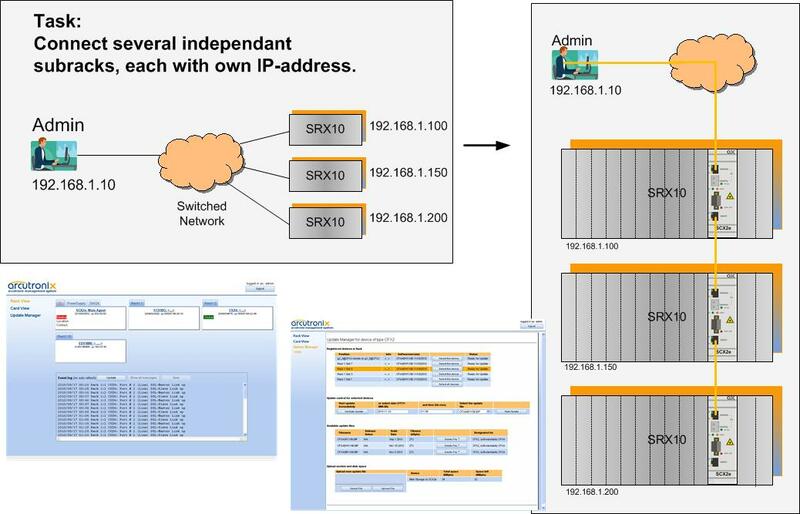 The in-band management capability, in combination with the System Controller SCX2e allows Carriers and ISPs to maintain and supervise all devices inside management system via single NMS access point. Trap signaling helps to detect errors in case of any failure or status change at the local or remote site.